Often hailed as an elegant people, elves are known for their graceful aesthetic. 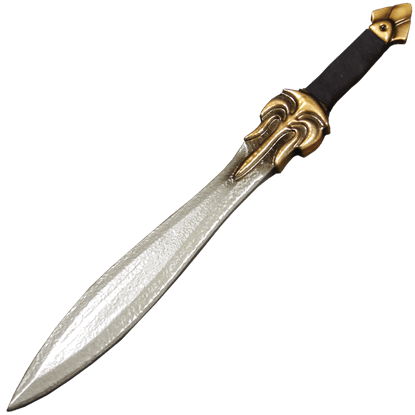 The Elven Gladius LARP Sword borrows its classic shape from traditional Roman weaponry and is expertly embellished with fantasy-inspired details. 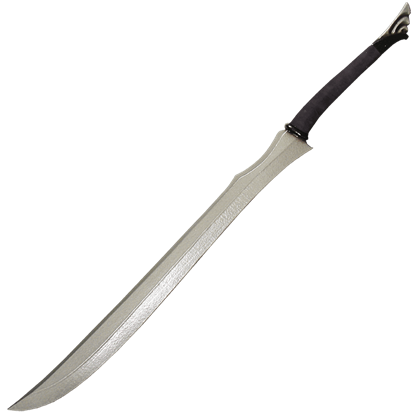 Strike with the deadly elegance of a warrior elf when you wield the Elven Katana LARP Sword. 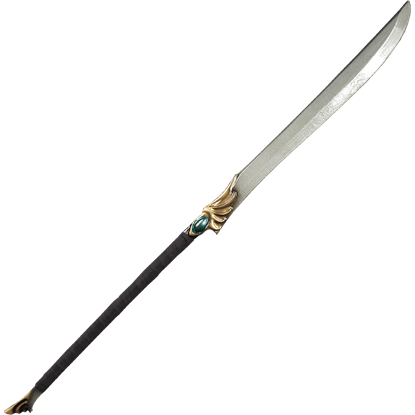 Inspired by the traditional Japanese swords, this foam weapon features just enough detail to lend it a distinguished and sleek fantasy look. 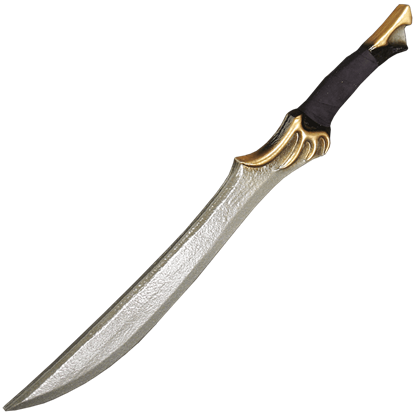 With a short blade inspired by traditional Japanese weaponry, the features of the Elven Tanto LARP Weapon blend its historic origins with fantasy elements. The silvery blade is complemented by golden colored details on its hilt. 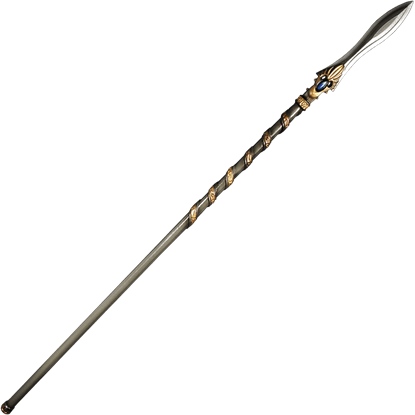 Regal and sleek, the High Elven Black LARP Katana features the appearance of a dark jewel on its hilt, surrounded by the curving, golden colored details of the guard. Above its matching pommel, the grip is wrapped in black material. Embellished with the appearance of a blue jewel, the High Elven Blue LARP Katana is an elegant addition to any fantasy weapon arsenal. 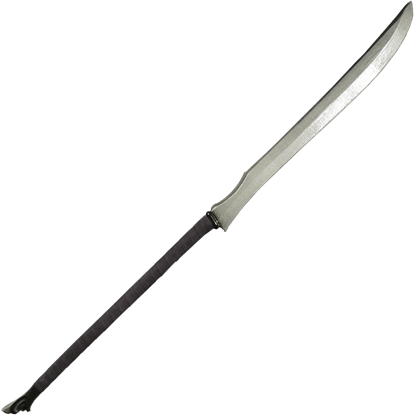 With its combination of traditional katana shape and elvish styling, this LARP sword is a treasure. 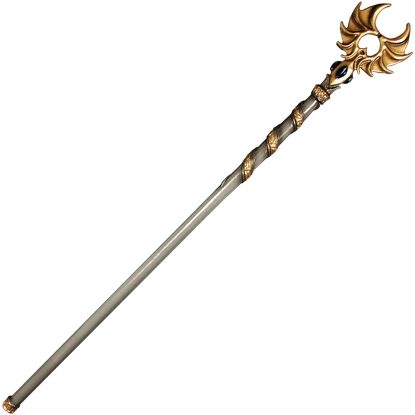 The likeness of a bright green jewel rests in the hilt of the High Elven Green LARP Katana, surrounded by curving, golden colored details. This foam sword presents a stylish mix of traditional Japanese weaponry and fantasy detail.